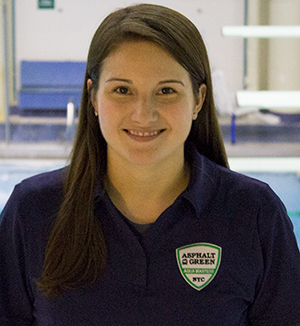 Asphalt Green Masters Coaches have extensive experience as swim coaches and many were swimmers at the collegiate level. Coaches marked with an asterisk are available for private coaching. 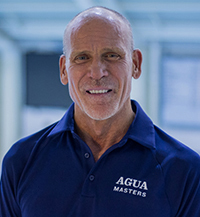 A Wisconsin native, Craig brings 15 years of coaching and a background training athletes at the highest level to AGUA Masters. 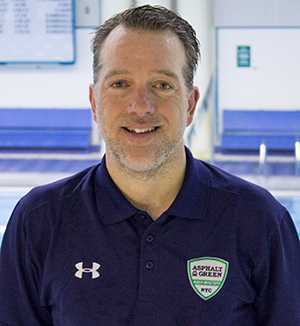 Before coming to Asphalt Green as director of aquatics in 2013, a position he maintains, Craig compiled an impressive resume as a swim coach. He has worked with high school, club, collegiate, and Masters athletes. He served as head coach of BearCat Swim Club (now Mid Valley Aquatics) in Oregon for five years. During his tenure, the program produced a world-ranked swimmer, national champion, and three US Olympic Trials qualifiers. 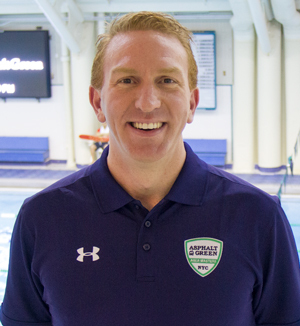 He has coached at many USA Swimming camps and holds an ASCA Level 5 certification. Craig’s goal is to provide all swimmers with the best opportunity to reach their potential while building a strong sense of community. He has a Bachelor of Arts in communications from the University of Minnesota. Rafael was born and raised in El Paso, Texas. He began swimming competitively at an early age and continued to compete at Borough of Manhattan Community College (BMCC). During his time at BMCC, Rafael was recognized as an All-Star Student Athlete within the City University of New York Athletic Conference. 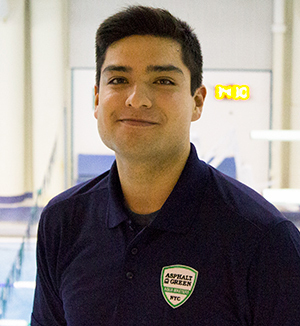 Rafael has kept swimming a part of his life by joining Asphalt Green as a swim coach. His goal is to create a competitive and positive environment for athletes. 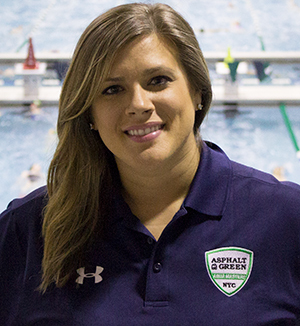 Hannah grew up as a swimmer on Asphalt Green’s competitive swim team and returned to join the Masters coaching staff in 2016. As an athlete for 16 years, she coaches from a swimmer’s perspective. She incorporates strategies that she found were most effective and motivating. Hannah hopes athletes feel a sense of community during her sessions and leave with positive energy. Born and raised in Lincoln, Neb., Brad started competing at age 6 and continued with age group and summer league swimming through high school. He returned to competition in 1991 after moving to New York, which also marked the start of his coaching and teaching careers. Brad has almost 30 years of experience working with swimmers of all ages and abilities, both in the US and internationally. Brad is ranked nationally in the 400-and 800-meter freestyle event and the 200-meter freestyle relay. His goal is to encourage athletes to develop their love of the water and swimming, no matter their age or experience. 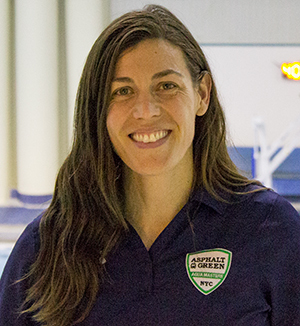 Emily joined the AGUA Masters coaching staff in 2018. 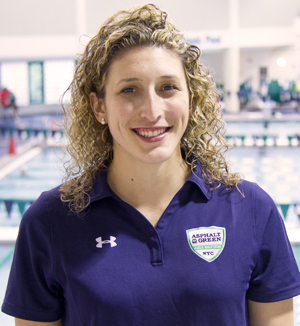 Originally from Baltimore, Md., she swam competitively through college. 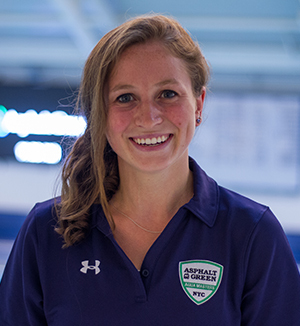 As an athlete at Cornell University, she served as captain her senior year and set team records in the 200 medley relay, 400 medley relay, 200 freestyle relay, and 400 freestyle relay. She was also an Ivy League Championship finalist in the 100 backstroke from 2009 to 2012. Emily’s sessions emphasize the importance of proper technique. She strives to help people become stronger swimmers and develop a passion a passion for the sport. Emily loves seeing clients translate hard work into achieving their goals. 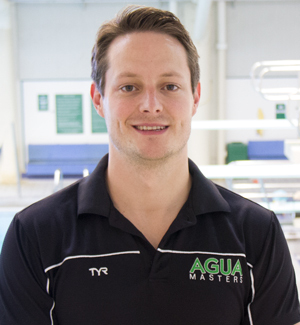 Matt joined the AGUA Masters coaching team in 2017. 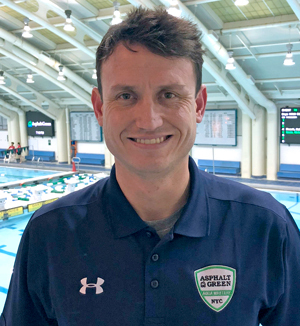 He holds an American Swimming Coaches Association Level 4 certification and has spent over 22 years coaching a variety of collegiate swim teams. Matt has made stops at Rutgers University, the University of Connecticut, and Long Island University in Brooklyn. He also spent 14 years as the head coach of the Somerset Valley YMCA in New Jersey and helped produce state champions every year from 2010 through 2014. He was voted New Jersey’s All-Star Team coach in 2003 and 2004. One of his biggest accomplishments as a coach was leading a swimmer to the 2012 Olympic Trials in Omaha, Neb. Matt was a varsity swimmer at Keene State College, serving as team captain for two years. Alex joined Asphalt Green Masters and triathlon club as a coach in 2017. As a competitive swimmer, she has had success at the international, national, and collegiate levels. In 2011, she had a top-25 world ranking with second-and sixth-place finishes at the USA Swimming National Championships. As a swimmer at Yale University, she went undefeated in the 100-yard butterfly in the Ivy League division, won six individual titles, and won the prestigious Harry Burke award for outstanding contribution to Yale swimming by an underclassman. Alex believes in a partnership-based approach to coaching based on communication and respect. Born and raised in Phoenix, Ariz., Nathan has been coaching private lessons at Asphalt Green since 2013. He swam at the college level for Seattle University, where he earned honorable mention All-American recognition for helping the 800 freestyle relay team to an 11th-place finish at the NCAA Division II Championships. He also helped his high school team, Brophy College Prep, win a national championship with his contribution in the 400 freestyle relay. 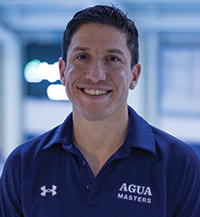 Ed joined AGUA Masters as a coach in 2015. He has been swimming with AGUA as part of the age group and Masters Swim Team programs since 1999. His swimming career continued at Amherst College, where he placed in the NCAA Division III top 24 in the 200-yard freestyle and received awards for his excellence in swimming. 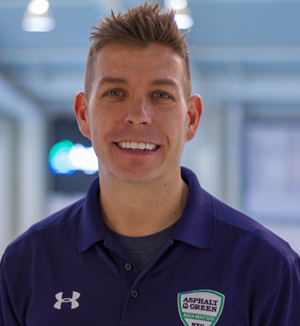 His career as a Masters Swim Team athlete includes many top three finishes as well as clinching first in the 200-meter IM at Short Course Nationals in 2012. Mikael is a USA Triathlon (USAT) and USA Cycling certified coach and works with athletes of all ages and abilities. He was introduced to competitive swimming about 20 years ago when he suffered an injury that required him to rest from biking and running. Since, he has competed in over 100 multisport events. Mikael is a nationally ranked duathlete and has represented Team USA at the 2007, 2009, 2013, and 2015 ITU Duathlon World Championships. He is an avid endurance athlete to this day; he competes in numerous duathlons, triathlons, bike races, running events, and cross-country ski races each year. Mikael’s swim sessions focus on using a combination of drills and video analysis to refine technique and improve efficiency. Isla joined the Asphalt Green coaching staff in 2012. 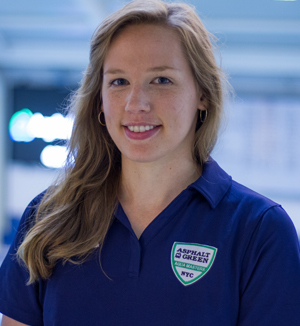 A true veteran of the organization, she learned to swim at Asphalt Green when she was 2 years old, competed for the AGUA Swim Team, and continued her career as a student-athlete at Yale University. Isla’s accomplishments as an athlete include qualifying for the 2012 US Olympic Trials in the 200 butterfly. 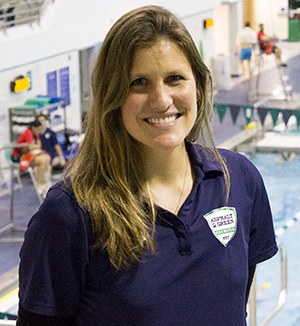 Her coaching career started in college, where she coached at Yale Bulldog Swim Camp and Swim New Haven, a free program for children of the college’s staff that promotes water safety. 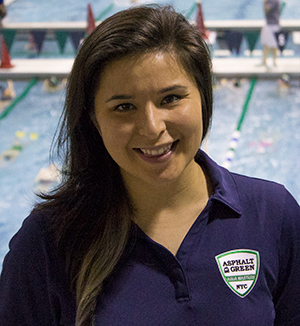 As an AGUA Masters coach, she brings positivity to the pool deck and wants to help members make the most of their experience, whether they are swimming for fitness or to boost performance at competitions. Sarida joined Asphalt Green in 2017. Originally from Israel, she swam on the national team and continued her swimming career as a soldier in the Israel Defense Forces. 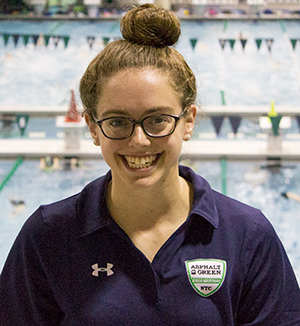 From 2011 to 2014, Sarida captained the University of North Texas Division I swim team. Most recently, Sarida coached the Red River Masters in Shreveport, La., where the team participated in its first statewide competition under her direction. Her goal is to create a positive environment where all levels of swimmers can experience the same love of swimming as she does. Meghan joined the Asphalt Green coaching staff in 2004 and has been coaching since 1999, specializing in swim coaching for triathletes. She swam in high school and college and has competed as a professional triathlete. A well-rounded competitor on land and in water, she has contended at the Ironman World Championships, won a silver medal at the Olympic-Distance Triathlon World Championships in 2010, and run multiple marathons. Meghan has worked with over 800 triathletes ages 6 to 74. She finds joy in helping athletes reach their potential and believes the route to success is cultivating fundamental skills and developing individualized growth strategies. Kelly grew up in Baltimore, Md., and at a very young age developed a passion for athletics. As a member of North Baltimore Aquatic Club, home to many Olympians, she achieved a National Age Group Record and Senior National time standards. Kelly also swam for McDonogh High School and helped her team win the state championships while receiving All-American status for four consecutive years. She earned an athletic scholarship to the University of Miami in Florida and graduated with a degree in sport administration and business. She enjoys coaching athletes and having the ability to provide them with tools necessary to succeed in both their sport and as individuals in life. In addition to coaching, Kelly also serves as the associate athletic director at Bronx Community College. 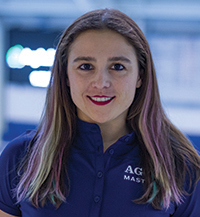 Diana joined AGUA Masters as a coach in 2017. As a competitive swimmer, she had success at the club and collegiate levels. She captained the swimming and diving teams for Keene State College and was a four-time school record holder. In her senior year, Keene State College named Diana the Strength and Conditioning Athlete of the Year and the College Female Athlete of the Year. After graduating, she remained at Keene State College as an assistant coach, fostering one US Olympic Trials qualifier and 10 All-American performances. 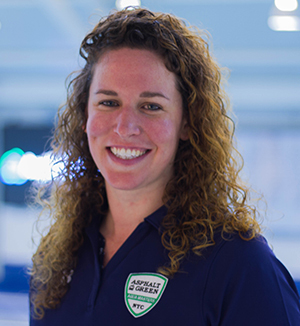 She moved on to coach for Greenwood Swimming, where her accomplishments include leading one athlete to a bronze medal at 2016 Rio Paralympic Games. She has also coached USA Swimming national top 10 athletes, National Zone Select Camp qualifiers, and New England age group champions and record holders. 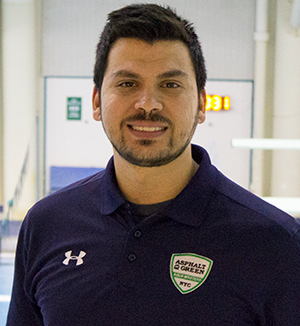 Manny’s swim coaching career spans over a decade, and he joined the Asphalt Green staff in 2018. He trains swimmers of all levels, focusing on proper mechanics of the freestyle stroke while maintaining balance and improving stamina. Originally from Texas, Manny also has vast experience training for open water swimming. He is a well-rounded athlete, and his fitness regimen includes swimming, boxing, and sports conditioning. Manny’s goal is to help athletes improve their physical fitness by encouraging swimmers develop a confident freestyle stroke. Jessie joined Asphalt Green Masters as Assistant Coach in May 2013. A Massachusetts native, she grew up swimming for Bernal's Gator Swim Club and was a captain and school record-holder for Lexington High School. Jessie holds a degree in Business Administration from Villanova University, where she was a captain, Big East Conference Finalist and Academic All-American. Ken is a USA Triathlon (USAT) certified coach. Though he did not swim competitively growing up, he is a product of learning to swim for performance as an adult through Asphalt Green’s programs—AGUA Masters, private lessons, and swim clinics. Ken’s experience learning to swim later in life enables him to fully understand an adult swimmer who is new to the sport or looking to transition from swimming for recreation to swimming for performance. With over 20 years of experience in the fitness industry helping clients set and achieve their goals, he takes an enthusiastic approach to coaching and truly loves seeing athletes improve. Ken still competes in triathlons, most recently qualifying for the 2017 70.3 World Championship. Originally from El Paso, Texas, Joseph joined the Asphalt Green staff in 2013. He was a member of the swim team at Borough of Manhattan Community College. During his career, he was a top-eight qualifier in the 100 and 200 breaststroke and 200 IM at the Division III championships in 2012 and 2013. Joseph has also coached Asphalt Green’s youth swim league. He believes in creating a positive and challenging environment that allows for swimmers to grow as athletes and individuals. Charley is an accomplished competitive swimmer and has competed at the club, college, and Masters levels. As an athlete at Vassar College, she made the All Seven Sisters Championship Team by winning the 1,650-yard freestyle and was on a school record-setting 800-yard freestyle relay. As a Masters swimmer, Charley has been ranked in the top 10 for butterfly and long-distance freestyle events every year since 2011. She was the Pan American Masters champion in 2013 for the 200-meter butterfly and the 400-meter IM and the US Masters national champion in the 200-meter butterfly in 2015. 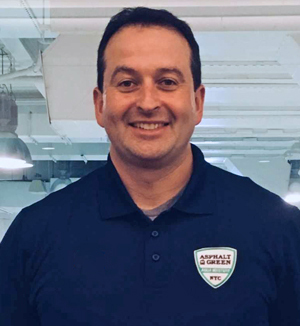 Charley started coaching while at Vassar and joined the Asphalt Green coaching staff in 2018. Charley is excited share what she has learned from training under two-time Olympian Erika Stebbins and 2000 Brazilian Olympic coach Joe Goeken.